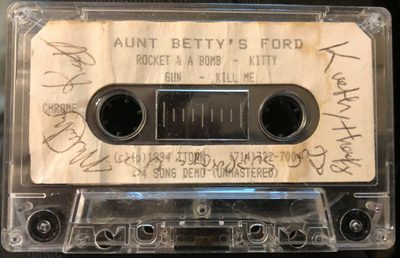 The second professional Aunt Betty’s Ford (later changed to just “The Aunt Bettys”) demo, this one a little darker than the first demo. I’m not sure of the release year of this, but it had to be before any of the other Betty’s stuff. The first three songs on here originally came from Rocket and a Bomb in some form.